We create each moment of our lives by the power of our word and intention, so astrology, numerology, and the Tarot are not our limits but tools, symbols and reminders of the the things we might want to take into consideration and what might help us understand what and why we're creating. Numerology is a wonderful tool for can helping us understand the things that have gone before and are manifesting how the vibrations of the sound of the birth date and name impress upon us and others our potential strengths, challenges, personality traits, and yes, current and future influences. Learn about your personal year, compare how past cycles have played out, notice what influences are active now and in the future. Practicing Numerology for more than 30 years has been an amazing pastime for me, and I would like to be your guide to using it as a reference in your life. 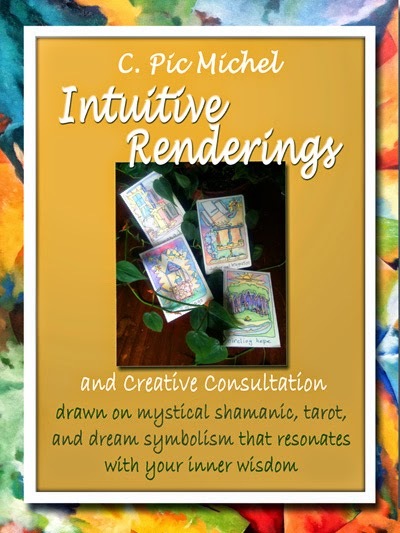 Intuitive Renderings are custom hand-drawn cards as Springtime nears. Each card carries the images of symbols chosen by you from the Deck of Prompts. Using these symbols I draw a card using a single continuous line. 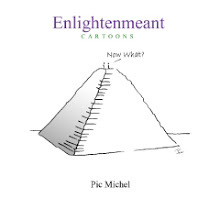 The resulting image is unique to you and we explore the meaning of the symbols as I color the card...or you can contemplate the design and color it yourself!